It's funny how this visit to Matfield Green, Kansas had such a different feel than before. We stayed in the exact same AirBNB, the pristinely appointed Prairieside Cottage, which was as perfect and peaceful as ever. Last year had a sit-around-and-read vibe; but this year had a hardscrabble vibe. Because this time we went out into an actual prairie. And oh, the wind. That morning I had read a passage from William Least Heat-Moon's book PrairyErth in which he shares that once he'd asked a Chase County resident when the Kansas wind would stop. The countian's answer - "never" - echoed prophetically in my head all afternoon as I fought to keep my hat on. Before the symphony started we stopped in the giant tent that held the store and silent auction; I immediately felt so grateful to be out of the wind. I browsed several great books and bought A Tallgrass Prairie Alphabet, and then - dripping in sweat from shopping in the stagnant hot air - I stepped outside the tent so relieved to enjoy the cooling wind that I hoped would never end. Perspective is everything. 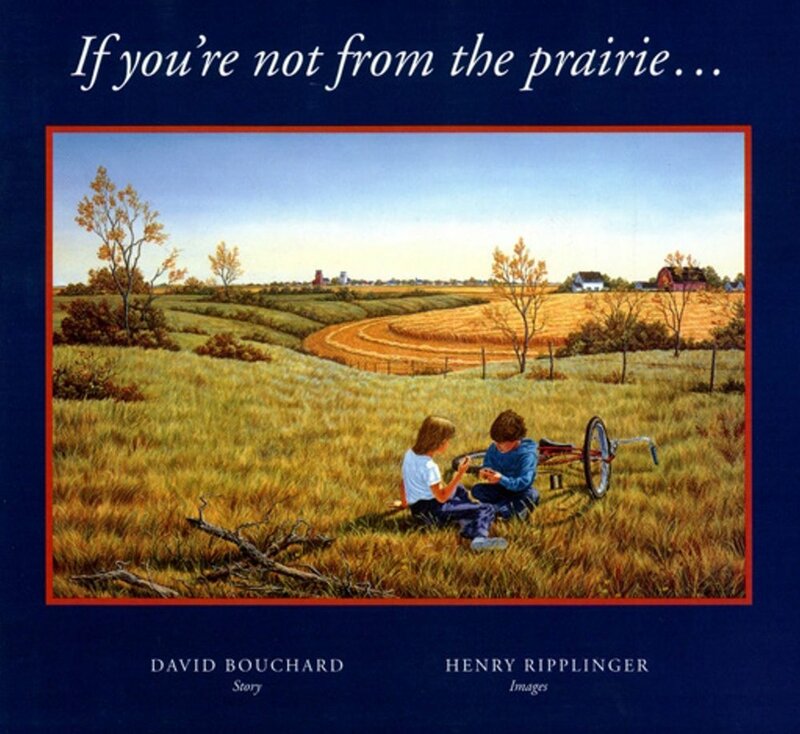 Last week, in preparation for our trip, I scurried around to our libraries to get books about the prairie. I came home with my arms full saying, "Look what I brought you, girls!" They couldn't have been less interested. My 7 year old was in a surly mood. (I thought she'd grow out of "three-nager" or take her time growing into tweendom. Alas, I think the sass is permanent.) So instead of reading prairie books both girls just read what they found on the bookshelves at Prairieside Cottage - so many great books, thank goodness. And my 7 year old continued her eye-rolling campaign in response to my "hey, read some prairie books!" campaign. But at some point she picked up Prairie Food Chains and told me about prairie fires and taught me how to play "Prairie Tag." And Sunday - after we'd spent most of the day before on the prairie - she picked up If you're not from the prairie... . She was intrigued. Perspective is everything. Thankfully she wasn't too proud to say, "I guess I am reading these prairie books after all." And thankfully these books aren't due back at the library just yet. PS: Here's a list (not comprehensive!) of kidlit prairie books!